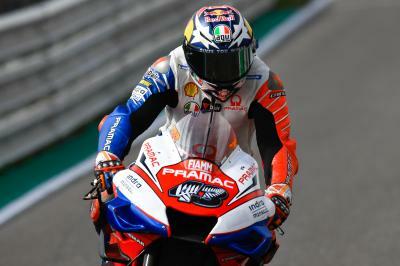 Ducati duo Andrea Dovizioso (Mission Winnow Ducati) and Pramac Racing’s Jack Miller locked out the top two spots after the opening day of track action at the Gran Premio Motul de la República Argentina. 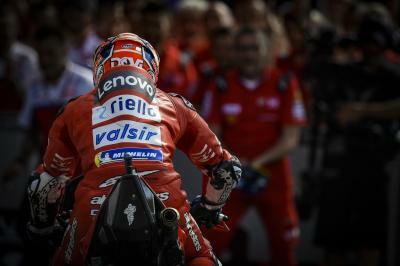 Dovizioso, the current Championship leader after his win in Qatar, jumped from 16th to 1st in the final stages of FP2 to claim Friday’s honours from Miller by 0.009 seconds. In turn, the Australian had to recover from an early FP2 crash at Turn 13 to bounce back to second place by the end of the session. Overall then, a good day for the Bologna factory on a track that has never suited the Ducati’s characteristics in the past. 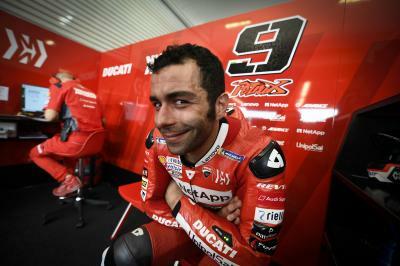 So what does Dovi think the main difference is between this season and last season for the Ducati? Miller then reflected on his day, saying it was a positive day all round after going well on used tyres in FP1. “Positive day all round. We were second quickest this morning as well with the used tyre. We managed to throw a soft in at the end there and yeah, I felt really good with it. 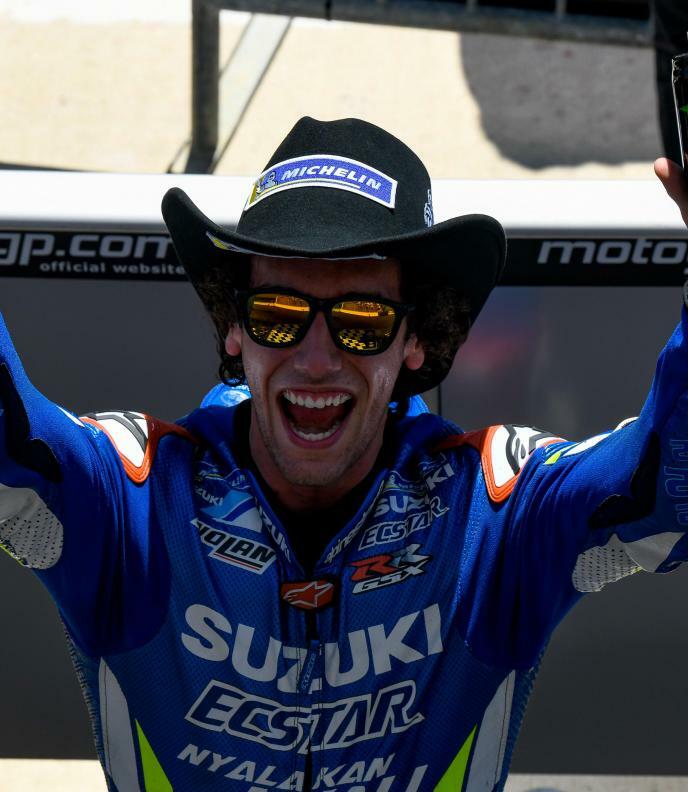 (It was a ) stupid crash on my behalf,” admitted the Miller, who is sporting a specially designed 43 in remembrance to the tragic attack that recently occurred in Christchurch, New Zealand. 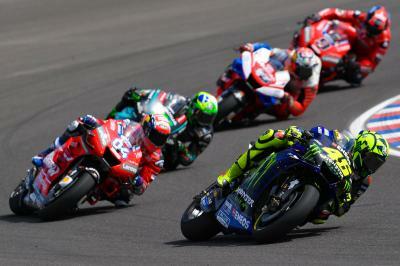 “I had the mediums in and I was on a good run and caught up to Vale and it’s so difficult to pass here at the minute because as soon as you go off line the track is very dirty. 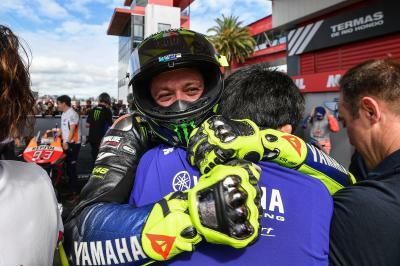 I maybe went in a metre wider than normal and yeah, full lean angle she didn’t want to turn anymore and let go,” continued Miller, describing the crash that happened early on Friday afternoon. The top 21 are within a second, but that isn’t phasing last year’s pole man, who is confident about the package he has at his disposal. “The top twenty are inside a second so yeah, it’s tight. But I feel we’ve got a really, really good bike and it’s just getting better. There are a few little niggling problems that I just want to fix to really improve my confidence. Last year we got the pole here but it was a little bit down to putting the right tyres on but this year I think we’ve got a good chance at having a go on an even playing field let’s say. 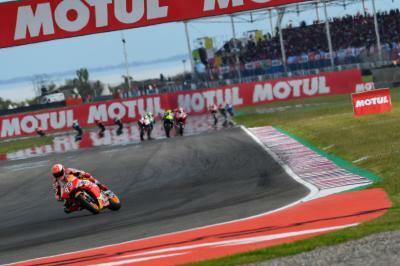 Marc Marquez’ (Repsol Honda Team) race pace is looking arguably the most threatening so far, but can Dovizioso and Miller continue to lead the Ducati charge in Termas de Rio Hondo on qualifying day? 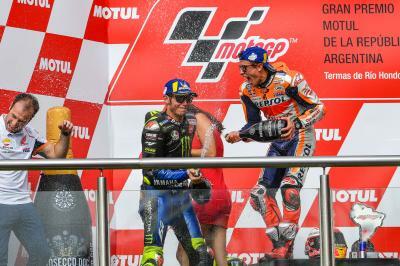 A second consecutive Argentina GP pole position is up for grabs for ‘Jackass’ as the Desmosedicis look to continue their impressive start to Round 2 on Saturday.